We create jewelry in more than 3-4 different techniques which offer our clients a wide variety of techniques to choose from. We also undertake custom orders based on availability. 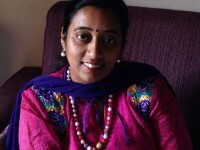 I am Supriya Vijay owner and creator of jewelleries at Gehena. All of the jewelleries are personally handcrafted by me. I am a self taught artist and very passionate about jewellery making and I love jewellery. I started 'Gehena' after quitting my hectic corporate life. Its been 4 years now and have never looked back since then. Jewellery at 'Gehena' is simple, understated and elegant in its own way. I ship across my creations using reputed courier partners only ! Please reach out to me within 7 days of the delivery in case the product appears to be damaged .